The Power-packed motor and it’s uniquely crafted blades make grinding traditional masala, and more, simple. 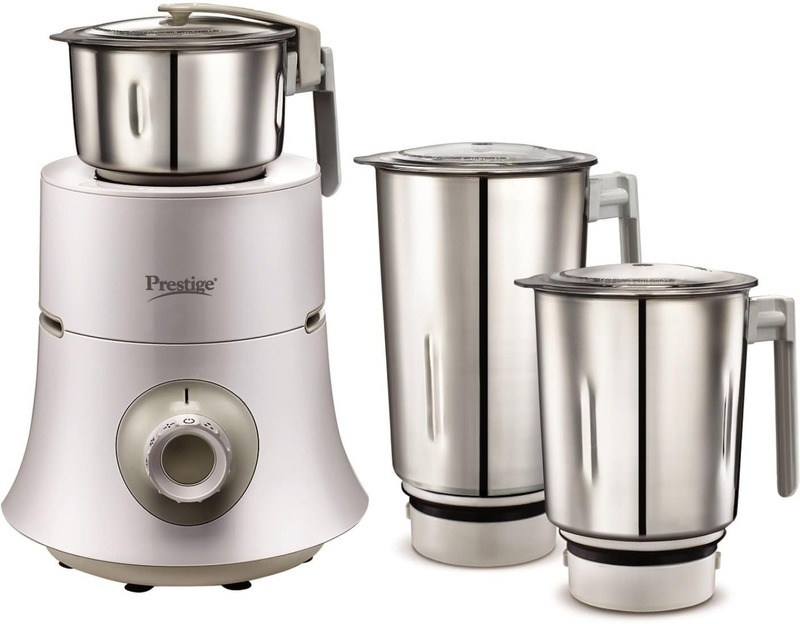 Prestige Mixer Grinder gives the perfect degree of grinding and mixing with stainless steeel jars for dry grinding, wet grinding and grinding chutneys. Innovative features like hands-free, LED power indicator and water drain outlet allows you to work comfortably. Aesthetic design, and vibrant colours add a touch of style to your kitchen, while making cooking convenient. There’s one for everyone.